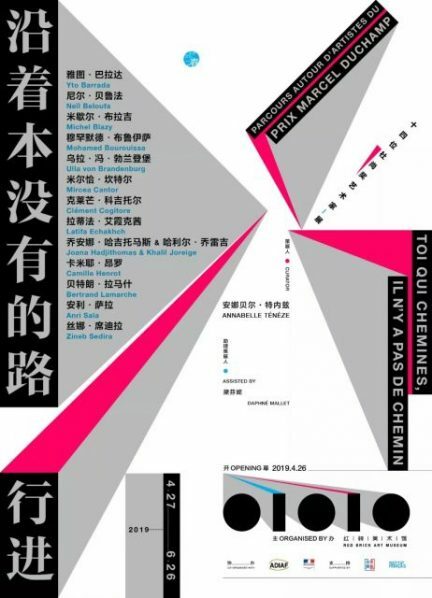 This is the second time that the Red Brick Art Museum has cooperated with the Association for the International Diffusion of French Art (ADIAF) and the French embassy in China to hold an exhibition for the Marcel Duchamp Prize, following the exhibition High Tension: 8 Winners of the Marcel Duchamp Prize. Supported by Institut Français de Pékin, the exhibition was curated by Annabelle Ténèze, the chief curator and director of les Abattoirs, Musée – Frac Occitanie Toulouse, with the assistance of Daphné Mallet. Courtesy of The Red Brick Museum, for further information please visit www.redbrickartmuseum.com.